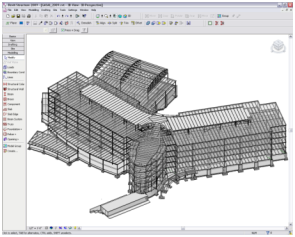 BIM & BEAM: Revit® Structure 2009 is almost here! Revit® Structure 2009 is almost here! 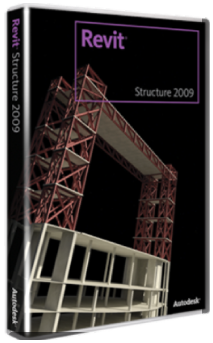 Another year has passed by and we are getting really excited about the new release of Revit® Structure 2009. I'd like to share with you some of the key new capabilities of the 2009 product over the next three weeks until we launch it in the marketplace. This week I will be focusing in on Usability. Common to all Autodesk 3D products now, the 3D navigation tools provide easy orientation of the model and a new way to zoom, orbit, and pan. 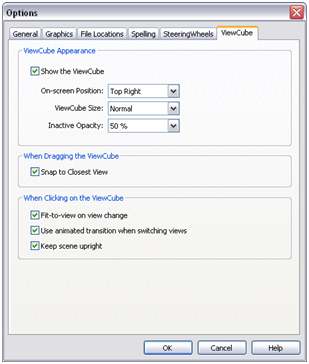 The Rewind option is useful when you want to return to a previously used view, angle, or position of the structure. This feature is the same intuitive navigation experience across all Autodesk 3D products. 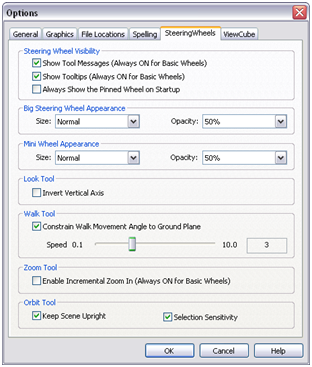 The visibility/graphics settings for linked files support three general modes of operation: "By Host View" (make the link look as much as possible like it is part of the host file), "By Linked View" (make the link look how it looks in some view in the linked file), or "Custom" (manually specify the appearance). 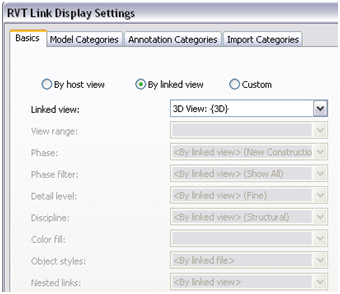 Prior to release 2009, we only supported the use of linked views in floor plans. 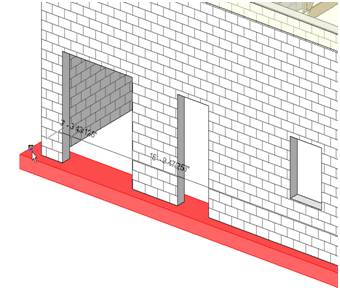 Now the functionality has been expanded to work in section, elevation, and 3D. Referencing a linked view that already has the right appearance can save considerable work. The greatest importance of this functionality is that settings like filters, workset visibility, display of annotations can now be controlled in section, elevation, and 3D. Another enhanced feature related to visibility is the Linework tool. - Edges in linked rvt files, when displayed "By Host"
All edges of a particular class on the same face will still have the same line style. Edges of different classes can have different styles. It is now easier to count the number of elements of a type in the model. Count the number of objects in different categories. 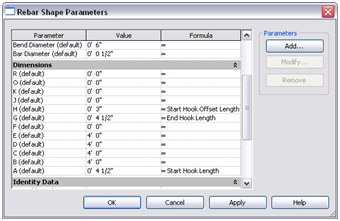 Easily check the number and types of elements in your model. DWF files published to the XPS specification can be automatically opened and viewed using the XPS viewer built into Windows Vista, without any plug-ins or other downloads. For Windows XP users, this same DWF support can be achieved via a download. Users of Revit Structure software can seamlessly share detail-rich information with members of their extended design team. This capability reduces the need for expensive paper-based sharing and proprietary software that can limit use and cause costly project delays due to lack of clarity or insight. With mental ray® software and building information modeling (BIM), you can generate photorealistic or stylized imagery, precise building models, and fully contextualized design visualizations for envisioning, planning, and presenting architectural projects of any size. The mental ray rendering engine brings award-winning quality to the fingertips of the architect for in-process visualization. Revit Architecture 2009 includes an extensive library of materials that are predefined and organized into material classes (for example, carpet, glass, paint, metal, liquid, and fabric) that are easily browsable by thumbnails or searchable by keywords. Material libraries combine with other mental ray capabilities such as physically accurate lighting, photometric light capabilities, real sun and sky solutions, and an optimized render solution for architectural scenes. The addition of the mental ray rendering engine optimizes the computing-intensive rendering process to deliver the highest-quality results in minimal time. The result is a significant reduction of in-process render times and an increase in photorealistic consideration, which empower your initial creativity and perception in a competitive market. This week I will be focusing in on Construction Documents. Where appropriate (for example, in a concrete slab-over-beam representation), elements in concrete that are joined should be represented as a single mass in section views, as users expect. Revit Structure 2009 automatically joins columns to slabs, beams to slabs, columns to walls, beams to walls, and slab edges to slabs. 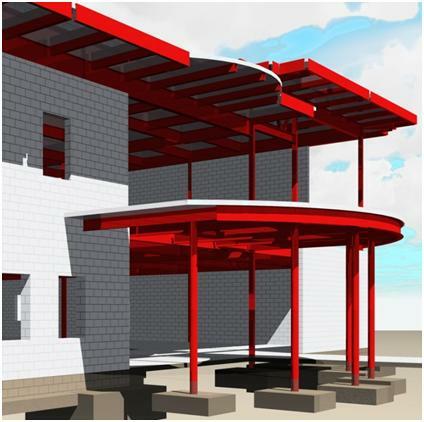 Revit Structure 2009 improves the way concrete beams join. When you place two or more concrete beams so that their ends join, Revit Structure 2009 automatically creates a default join that can be interpreted correctly with minimal editing. When an element is losing its volume due to the Join Geometry command, Revit Structure 2009 now creates a stick representation that lets the user select the previously invisible element. 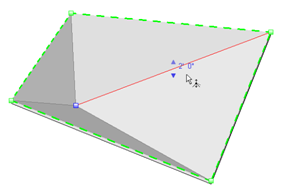 Use Join Geometry command between two elements where one of them is completely enclosed by the other. The key thing to remember is that you now have the ability to properly join and represent intersecting concrete elements. Beam tagging is an important part of creating a structural framing plan. Depending on the complexity of the structure, beam tags can contain many different pieces of information. Providing the structural engineer and drafter with the tools to place and modify this information is crucial. 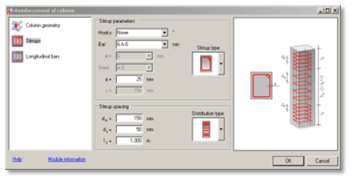 Spot elevations are improved to enable you to select beams in coarse mode. The spot elevation "asks" the beam for its elevations at the end- and midpoints, based on its bounding box. 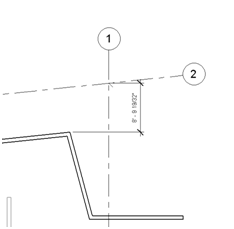 Note that spot elevations can be taken at the top or bottom of beams. Spot dimensions (spot elevations and spot coordinates) can also now be rotated. Tags for structural framing have been improved so that they retain the placement of the tag based on its location relative to the curve driver. Specifically, this functionality allows a structural beam tag to be placed at the end of a beam; it then moves and repositions with the beam. Tags also now enable parameters and text to be concatenated into a single label. 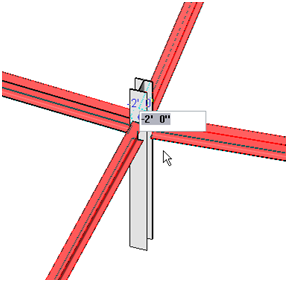 Place spot elevations on beams at top or bottom. 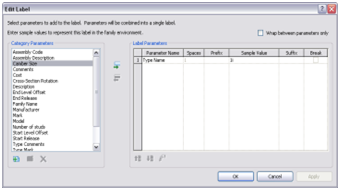 Create a single label from multiple parameters. The key thing to remember is that all beam-related information can be placed in a single label! Add columns to GCS that are off center from the grid intersection but still within the column geometry (bounding box). The column is labeled with the column location mark, which represents the closest distances to existing grids, for example, A-5' 6" – 2 6' 6" (5' 6" from grid A and 6' 6" from grid 2). Add all grouped columns in plan to GCS. Add a drop-down list to column element properties that shows different GCS label combinations. This enables the user to choose among multiple options where different grid intersections are possible. 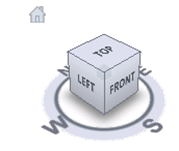 With Include Off-Grid Columns turned on, the user can choose the Off-Grid Units Format option. Add all columns in plan to graphical column schedule regardless of location! You can create a set of dimensions that all start from a common baseline. You can also create multiple dimensions that measure a perpendicular distance from an origin point (or datum): ordinate dimensions. Remove extra spaces in dimensions. 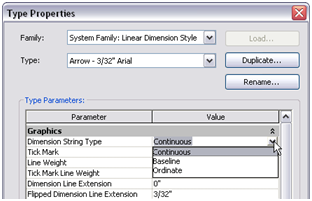 Use industry-standard conventions for displaying dimensions on construction documents. 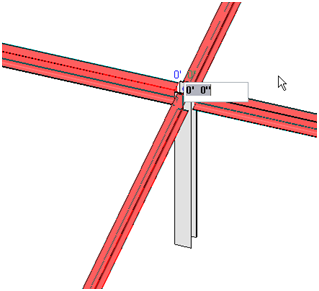 Revit Structure 2009 enables dimensioning at line intersections: lines, grids, reference planes, location lines (walls, floors). Key takeaway here is that this provides you with more flexibility in dimensions tools. 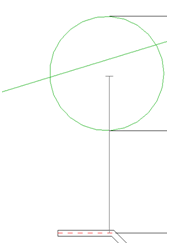 In some situations, drafters need to add information to dimension values. For example, a dimension might be applied to an element whose real-world dimension is not known. In this case, the drafter might want to add a note that the dimension should be verified. 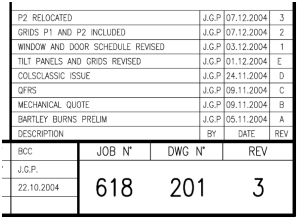 This capability is particularly useful for "typical" details, to reference another sheet that contains specifics. This capability also enables drafters to add supplementary information to clarify a dimension's meaning when there is potential for ambiguity. For some text notes, the dimension format works better than a freestanding text block and leader. 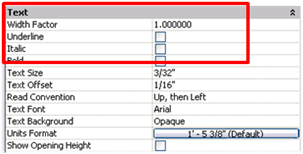 Use dimensions to display text information instead of numeric values only. Revision tags and schedules can use alphabetic or any other conventions. New revision parameter for title block. Add revision name without a cloud. Represent revisions the way you want to. Log on next week when I'll provide more information on Usability, our second topic of what's new in Revit® Structure 2009. Let me start this week by focusing in on Structural Modeling. 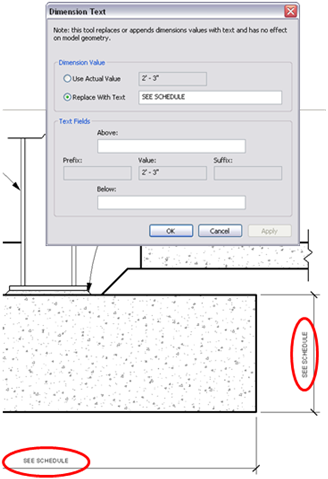 Revit Structure 2009 increases the user's ability to place individual reinforcement bars into a concrete model as specified by third-party analysis and design software. From the drawings, you can see easier placement and creation of individual concrete reinforcement bars. The cover is now a property of concrete elements, making it much more flexible to edit and modify. Cover can be set by the different faces of the concrete element, enabling you to, for example, take into account the exposure of certain faces to weather. A new rebar visibility state enables you to view rebars as solid. 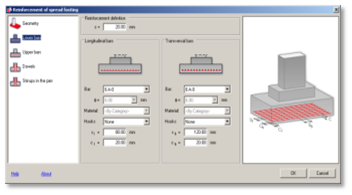 These new functionalities enable more accurate representation of concrete reinforcement bars. 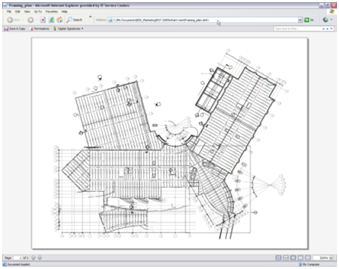 Autodesk® Subscription customers can benefit from extensions available for Revit Structure 2009. The Reinforcement extensions increase the user's ability to incorporate automatic reinforcement into concrete elements. 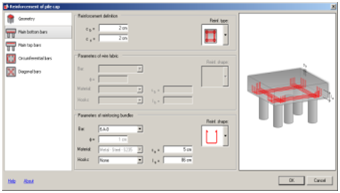 Easy to install and use, they extend the capability of Revit Structure 2009 to handle concrete reinforcement details. In previous releases, cutbacks were applied to all members of an end join. 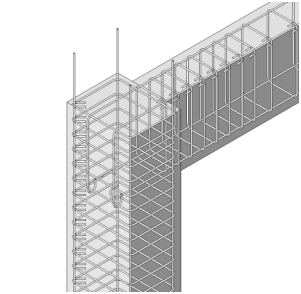 The new beam cutback feature improves the display of steel beams in coarse level of detail. The new tool applies beam join types and priority. The default "priority one" beam is the beam that other beams frame into. An editor enables the user to modify the join configuration and provides graphical controls (blue arrows) at the end of the beams participating in a join. Miter joins can be created for elements of the same type. A miter lock (only available in Coarse mode) enables the user to keep a miter join for physical representation in fine level of detail while changing the symbolic cutback representation in Coarse mode. Note that the shape handles at the end of the beams remain. These shape handles were created for the Coping tool; therefore complete coordination between the symbolic (Coarse mode) and model geometry (Medium and Fine modes) cannot be guaranteed with the use of the shape handles. This feature was previously used at the end of a single selected beam. Now the feature provides the elevation control at the intersection of several elements that join. 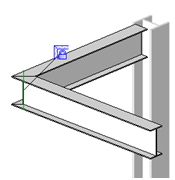 For structural framing "beam" members only, the user can select a common join and change the elevation. When an elevation is changed using the control, the selected beams disjoin, move to the desired location, and rejoin. 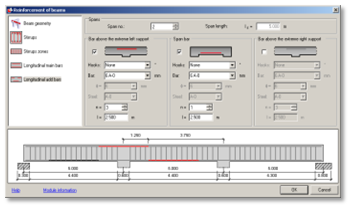 In each beam property, the end and start level offset values are adjusted correspondingly. 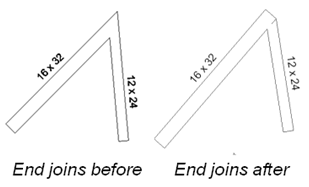 Several beams can be selected and simultaneously moved to a common end join elevation. Works in plan view and 3D view. Revit Structure 2009 speeds up the creation of foundations: instead of placing them individually, you can now create multiple foundations at the same time. For wall foundations, check the "multiple" option before selecting several walls. 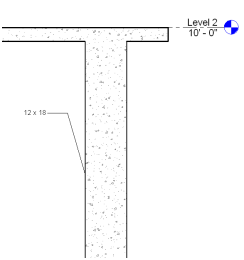 For isolated foundations, choose to create them by structural columns or grid intersection. Wall foundations ends can now be modified. Just grab the end of a continuous foundation and drag it manually where you need. Create multiple wall foundations at the same time. 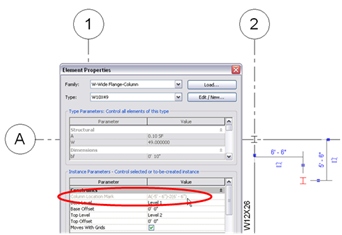 Create multiple isolated foundations by structural columns or grid intersections. 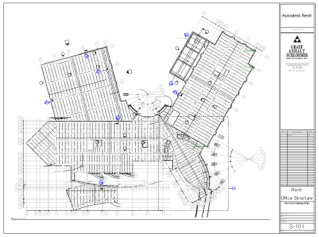 With Revit Structure 2009 you can now edit the shape of slabs with curved edges, which enables you to accurately model more complex slab and roof conditions. You can also modify the split lines that the software automatically creates in the slab when it is warped. This new option provides much more flexibility for editing the shape of the slab to represent the exact way it should be built. Slabs made of metal decks can also be sloped and warped and represented as accurately as plain concrete slabs. Modify slabs with curved edges to include multiple slopes for drainage. Edit automatically created split lines. Modified slabs with metal deck display properly in section. 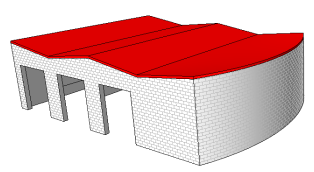 This great enhancement provides efficient modeling of sloped slabs and roofs! Log on next week when I'll provide more information on Construction Documents, our second topic of what's new in Revit® Structure 2009. Any idea when we'll have it in hand? there is the add in for ETABS or STAAD.PRO? The Autodesk portal for Revit Struc 2009 gives a list of developer partners who claim to have products for Revit Struc 2009. e.g. 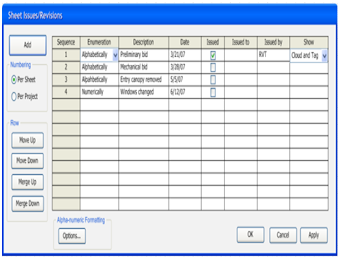 CSI ETABS software. CSI Etabs do not a tool that works w/2009 . The one that available only works with 2008. Is there a way to get Revit Struc 2009 to work with the CSI Etabs-Revit 2008 translator?